We finally have some detailed images of the annual KD “Aunt Pearl” sneaker and boy are they clean! This special edition sneaker that is made in memory of Kevin Durant’s aunt who passed away from lung cancer in 2000 is meant to “inspire us all to continue the fight for a cure.” So the sneaker definitely has a strong meaning and message behind it. The Nike KD 7 Premium “Aunt Pearl” takes a mostly all-white approach that includes the entire Hyperfuse and Hyperposite upper, outsole, midsole and the wings midfoot strap. Pink accents appear on heel ribbon logo as well as the insole and Flywire. Gold detailing on the Swooshes and KD branding completes the look on this KD 7 Premium “Aunt Pearl.” Set to release on at select Nike retailers on February 19 for $170, will you be copping these Aunt Pearls? Representing New York and the All Star game is the Air Jordan 10 known as Lady Liberty. We have known for a while they were coming but as far as images go, everything has been silent until now. 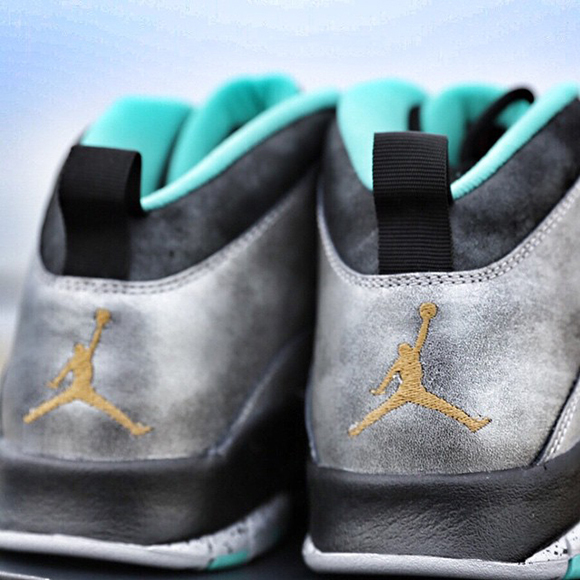 We got some new images of the sneakers inspired by none other than Lady Liberty. 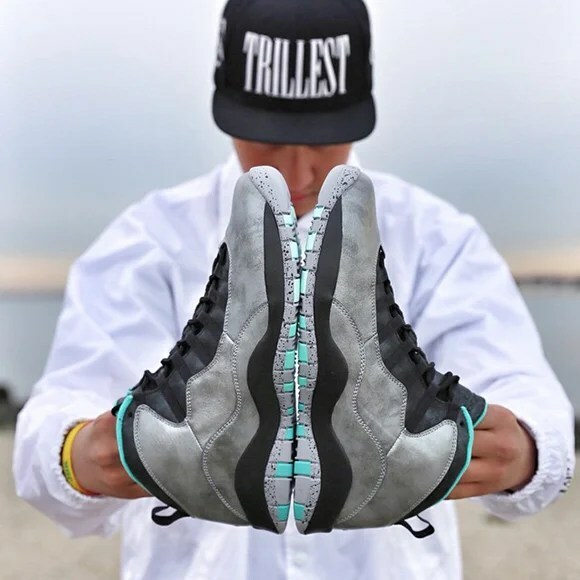 The Air Jordan 10 uppers look to resemble the material used on the Statue of Liberty while the midsole gets the cement print treatment. Black hits the midsole, eyelets and tongue while tropical teal accents the liner and sole. Finally the Jumpman logo on the heel is dressed in gold. 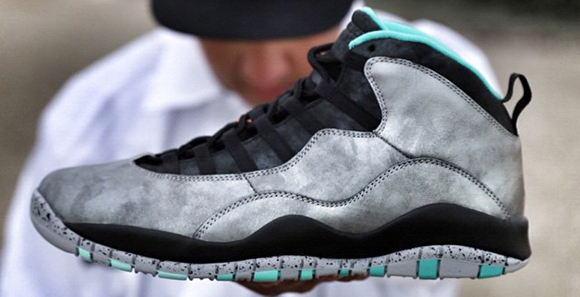 You can grab the Lady Liberty Jordan 10 on February 15th for $190. When you’re Terrell Owens, you get awesome gifts from other incredible athletes. For example, on Christmas Owens received this pair of Nike Kobe 9 Elites known as ‘Bruce Lee’ as a gift from none other than Kobe Bryant. Although Christmas was over a month ago, the sneakers have went unseen until today. He did however posted them on December 20th. 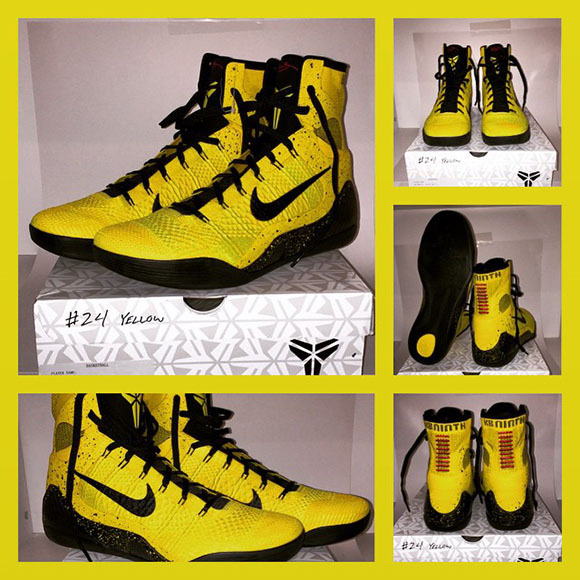 The Kobe 9 Elite uses a yellow and black theme that is reminiscent to Bruce Lee’s jumpsuit in the movie Game of Death. The uppers which are dressed in yellow are joined with a black midsole. Altering speckled pattern is seen on the midsole and around the heel. 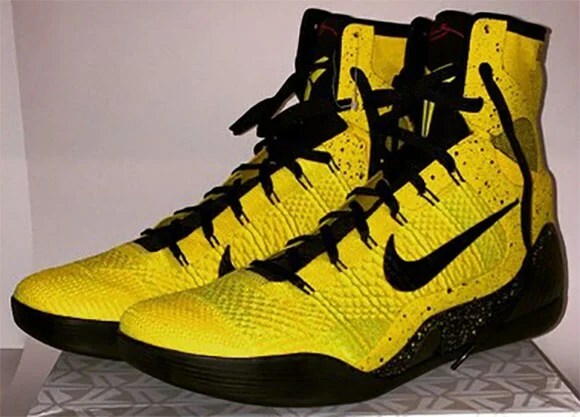 Sadly the ‘Bruce Lee’ Nike Kobe 9 Elite was a gift and will not release, but if you have a close relationship to Kobe, we’re sure he can pull some strings for you. 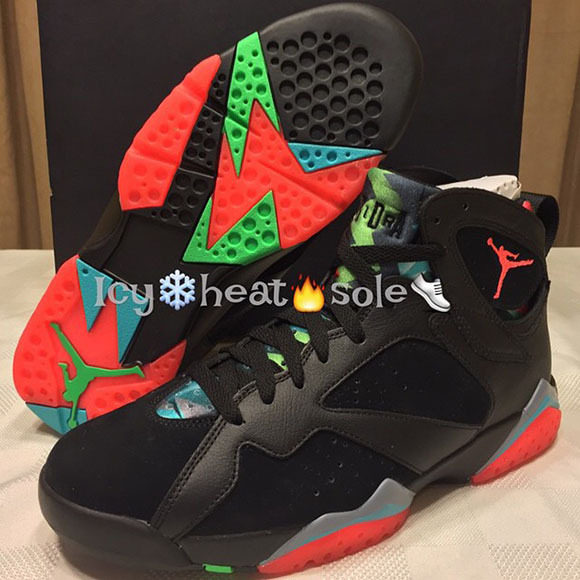 One of the bigger releases for the Air Jordan 7 will be the Marvin the Martian. It appears that there is a lot of hype for the sneakers so we wanted to make sure you know the release date and how much they will cost you. Plus we got word on some new images which we know you can appreciate. 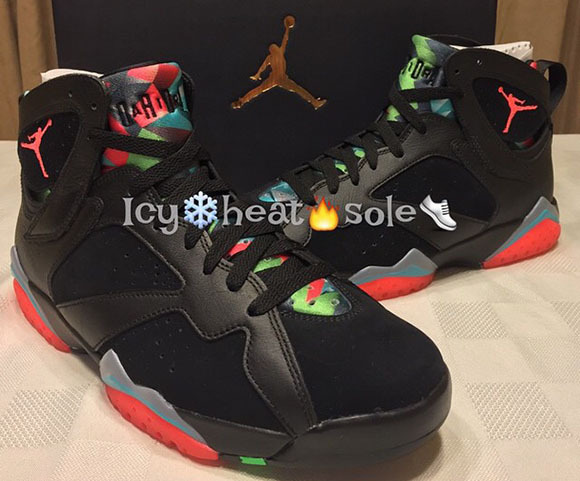 The Marvin the Martian Air Jordan 7 features a predominate black upper. If you’re not a fan of that, we have heard a white version might be coming. 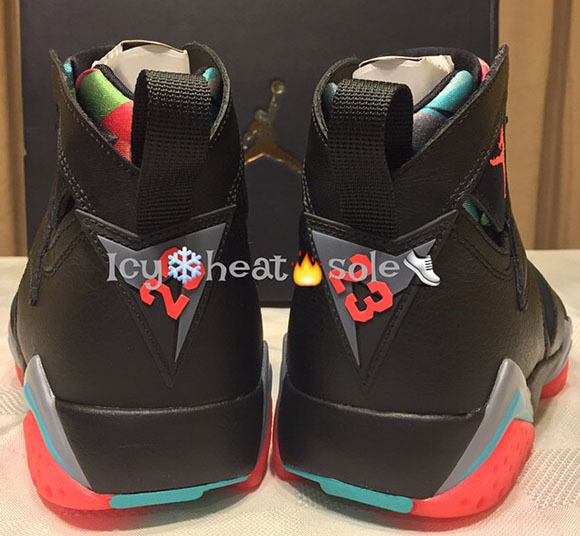 Infrared stands out the most which is featured on the Jumpman logo and midsole area while blue graphite also mixes it up on the tongue followed with green and more infrared. 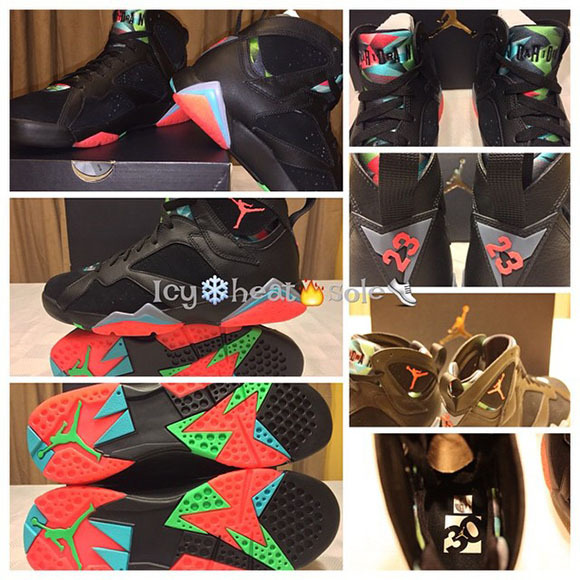 Releasing March 7th 2015, the Air Jordan 7 Marvin the Martian will retail for $190. Are you planning on picking up a pair? Big Sean’s “Dark Sky Paradise” goes on sale February 24th. Raekwon & Ghostface Killah will celebrate the 20th anniversary of “Only Built 4 Cuban Linx” with “The Purple Tape Files” documentary.